We are a local, family owned painting contractor, carpentry service and staining company serving metro Atlanta over 10 years! 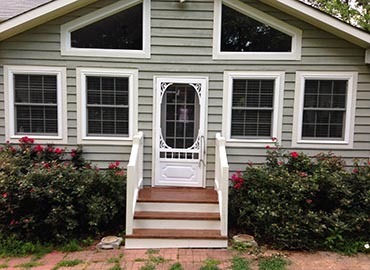 Our main goal at SMS Painting LLC is to provide affordable painting perfection inside and out of your home with no less than 100% satisfaction. Our skilled painters are able to handle any residential interior or exterior residential painting project, as well as staining projects such as deck staining and fence staining. If your deck or fence is in need of more serious restoration work, our skilled team of contractors specializes in deck and fence repairs and can repair the structures as well as re-stain the wood. We also offer pressure washing services to rejuvenate old paint, and restore your walkways to pristine condition. We look forward to giving you world-class customer service experience from initial phone call through the finished project. Give us a call today for a free estimate on your next painting, staining, carpentry, or power washing project.